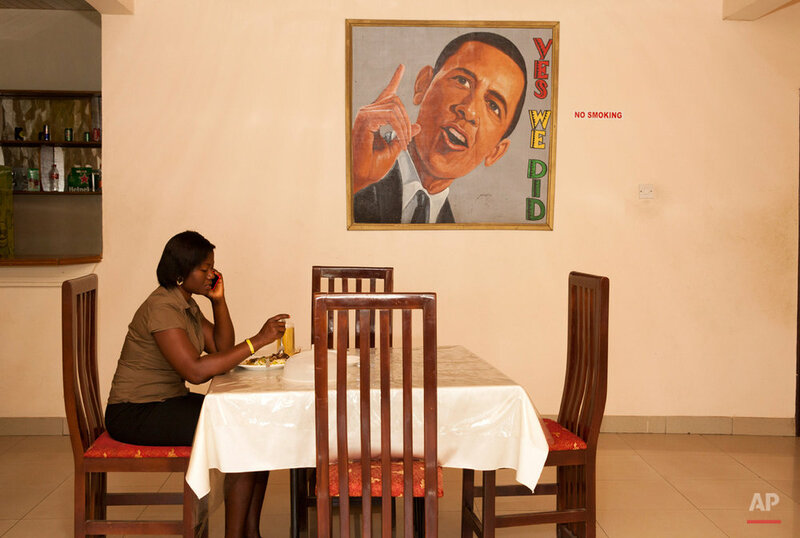 Barack Obama, the United States' first African-American president, has captured the imagination of people across the continent where his face shows up on billboards, backpacks, T-shirts and restaurants. 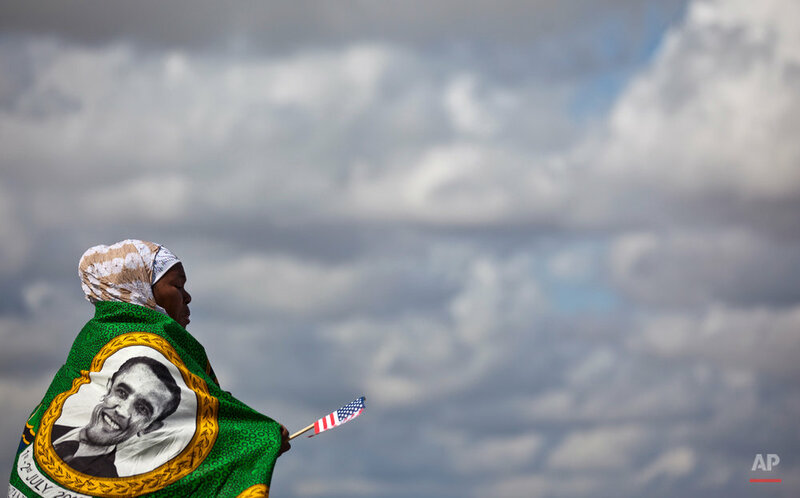 This week Obama will be visiting Kenya, where his father was born, for a summit on entrepreneurship before heading to Ethiopia to address leaders at the African Union headquarters. Wherever he goes, large crowds are expected to gather and cheer him. 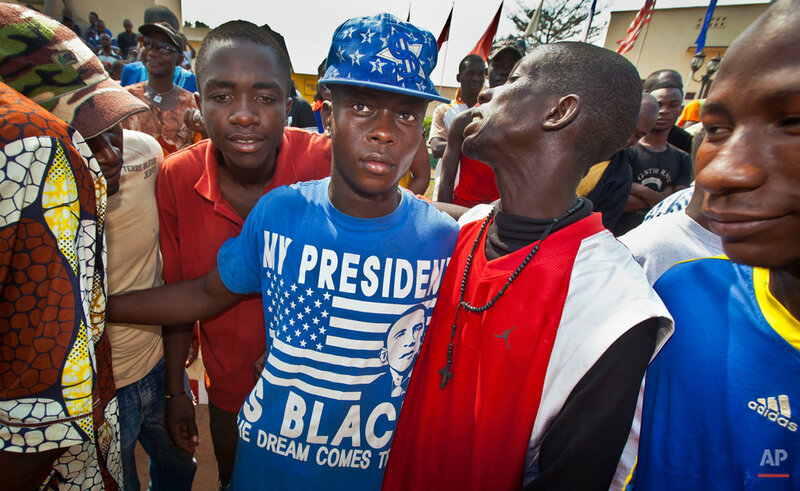 With his African ancestry, locals have been quick to claim the president as one of their own and his name turns up in surprising places, such as emblazoned across mobile phones in Bujumbura, Burundi. 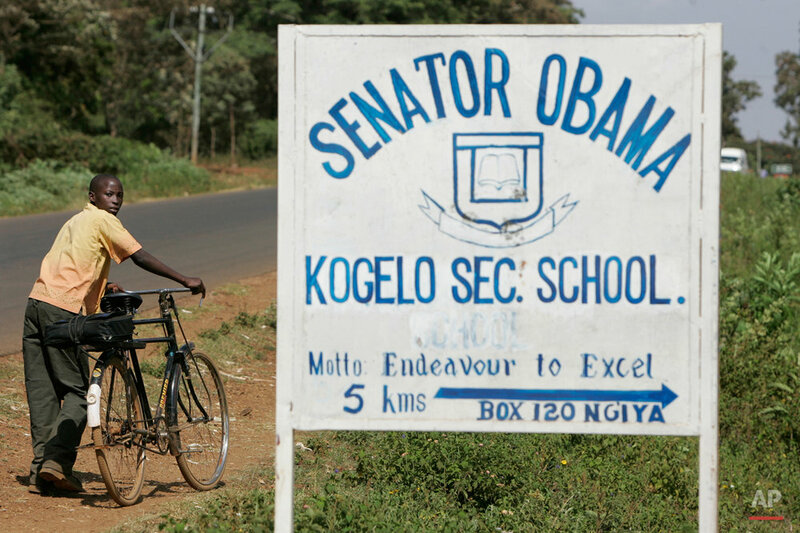 In the Kenyan town where his step-grandmother still lives, near Lake Victoria, the local high school has been named "Senator Obama," a legacy of his visit there in 2006 before he became president. 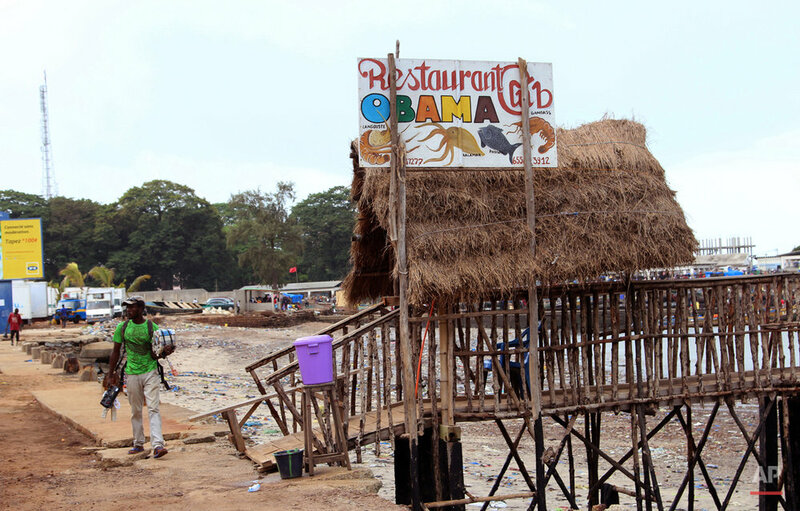 At the seaside in Conakry, Guinea in West Africa, a thatched hut boasts to be the Obama restaurant. Not to be outdone, Accra, the capital of Ghana, has a hotel restaurant named for the president. In perhaps one of the greatest honors Africa can bestow, Obama's picture is side by side with that of former South African president and renowned activist Nelson Mandela outside a Pretoria clinic where the South African leader was treated. 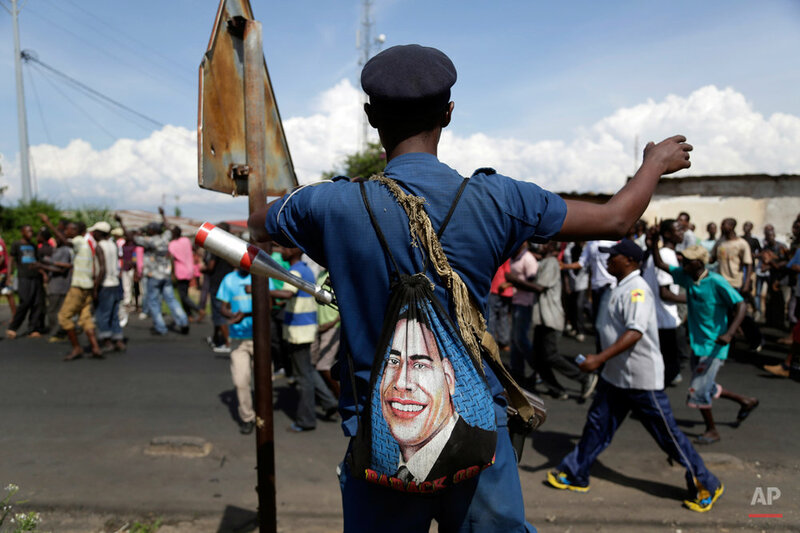 Text from the AP news story, AP PHOTOS: Obama's face found across Africa ahead of visit.